Why don’t managers take action with poor performers? First of all, people, in general, tend to avoid conflict. Conflict is messy and hard, and it’s often easier to stick your head in the sand and hope it goes away. Even when managers do take action, they often only take action up to a point but aren’t willing to actually fire an employee for insufficient improvement. Sometimes they are intimidated by the mountain of HR process, forms, and red tape they will have to contend with. They may be afraid of being sued, accused of harassment, or they may think they are being compassionate. The reality is that letting someone who is performing poorly stay in a job is one of the most uncompassionate things a manager can do to an employee. Chances are the employee knows he/she is struggling, and everyone else knows it too. It’s embarrassing and humiliating. There is another way to address an employee performance problem without having to go through a long, drawn-out, formal disciplinary process while avoiding the stigma of having been fired from a job. Coaching someone out of a job is helping the employee to understand that it’s in his/her best interest to leave voluntarily. It’s giving them the option of finding another role, internally or externally, that’s a better fit for their skills, giving them the opportunity to be more successful. Just to clarify, this isn't about making conditions so miserable that the employee chooses to leave on his/her own. Remember the classic Office Space scene when poor Milton gets his desk moved and favorite stapler was taken away? You don’t want to be that boss. That’s the cowardly manager’s option and a slimy one at that. Coaching someone out of a job isn’t the best option for every situation. It shouldn’t be used for flagrant violations of company policy (i.e., theft, violence, cheating, etc.). It should be used as an alternative to firing for an employee that is either performing poorly or just doesn’t seem committed to the job. There may have been a hiring mistake, or the job requirements may have changed and outgrown the employee’s capabilities, or you may have inherited the employee from a manager who chose to bury his/her head in the sand. Preparation: The steps required to coach an employee out of a job are very similar to the steps required to have a disciplinary discussion. You still need to gather evidence, document the poor performance, and be prepared to give plenty of examples for a strong case for why the employee is just not cutting it. Talk to HR: I’m by no means suggesting the coaching out of a job process as a way to avoid working with your local HR manager (although many managers do). A good HR manager will understand and support what you want to do. You’re not asking for permission – you are asking for guidance. 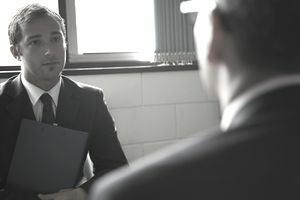 Besides, if you can’t convince the employee to leave on his/her own, then you’ll need to start the formal disciplinary process anyway, and that’s when you’ll have to involve HR. Describe the expectations and performance: Start the discussion by laying out the performance expectations and standards, and explaining how the employee is just not meeting those expectations. In many cases, the employee already knows. In fact, after describing expectations, the manager could even ask the employee to assess his/her own performance. If they choose not to resign or look for another position, then you let them know you have no choice but to begin the disciplinary process immediately. The disadvantage of using this approach is it could extend the time it takes to remove a poorly performing employee. The advantage is that it allows the employee the opportunity to leave gracefully on his/her own terms, and avoids the messy and ugly process of having to go through a formal termination process. Who knows, your employee may thank you someday for caring enough to remove them from a position that they were struggling in (and probably miserable in), and allowing him/her the opportunity to transition into a role better suited for his/her skills and interests.